The Lost Paradise: Andalusi Music in Urban North Africa, by Jonathan Glasser, an associate professor in the department, has been selected as the winner of the 2017 L. Carl Brown AIMS Book Prize in North African Studies. 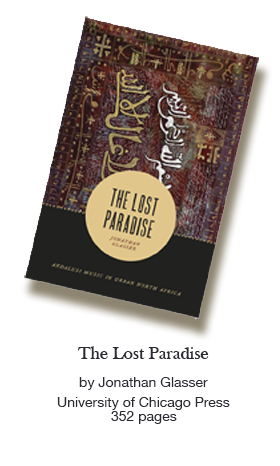 The Lost Paradise also was the recipient of the second-place prize in the Mahmoud Guettat International Prize in Musicology. Glasser’s book examines traditions related to Andalusi music, an Arabic-language of performance tradition said to originate in the “lost paradise” of medieval Islamic Spain. The L. Carl Brown AIMS Book Prize in North African Studies is administered by the American Institute for Maghrib Studies (AIMS). The Mahmoud Guettat Musicology Prize is a named for a Tunisian university professor and the Arab-Islamic musicology and civilization researcher and administered by the University of Tunis. 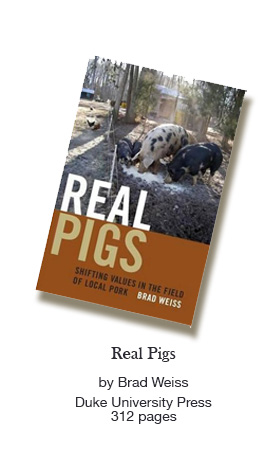 Real Pigs: Shifting Values in the Field of Local Pork by Professor and Chair Brad Weiss was a 2017 Book Award Winner by the Association for the Study of Food and Society. Real Pigs is a foodways exploration of artisanal hogs in North Carolina and the people who raise, cook and eat them. The ASFS promotes the interdisciplinary study of food and society.